Arabescato Carrara Marble is timeless, classic, and elegant; and this beautiful backsplash design doesn’t disappoint. Here, we’ve combined 3 honed-finished Arabescato Carrara marble tiles together to create the perfect marble kitchen backsplash or bathroom backsplash. 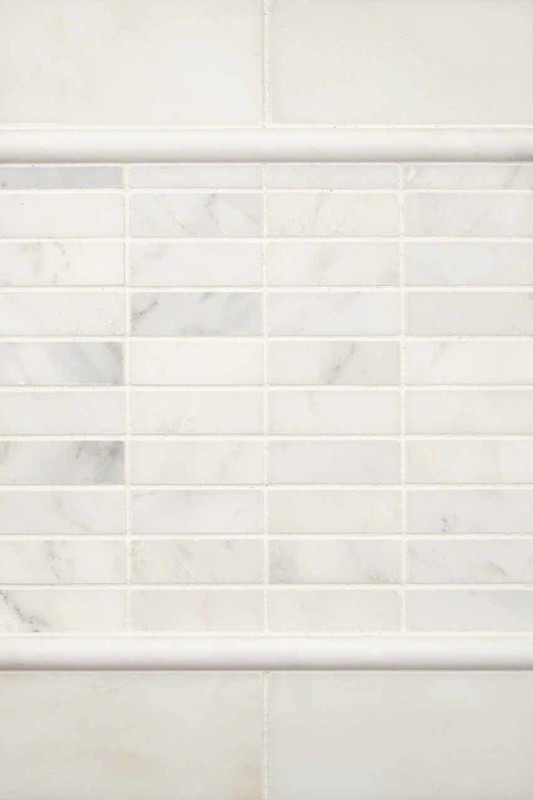 1x3 tiles, 3x6 subway tiles, and the pencil molding combine to highlight the beauty of this exquisite natural marble. This backsplash installation is perfect for design styles from traditional to contemporary.